Here you will find several public Publications, Documents and Manuals related to the Learjet 45. Here you will find a detailed general description of the Learjet 45. Included in this general description is a detailed illustration of the Main Instrument panel, the Center Pedestal and the two circuit breaker panels. This illustration gives a brief description of every switch and knob in the flight deck! You can down load a PDF version of the Pilot’s Manual Section I “General Description” by clicking the .pdf icon below. 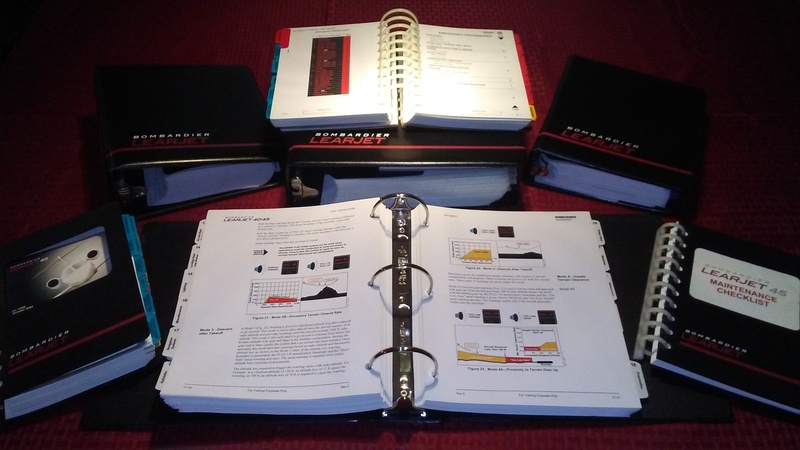 This electronic Bombardier Learjet 45 Flight Manual was compiled based upon data relevant to F coded aircraft. This is a great resource if you are fine tuning your aircraft configuration file to make your simulator perform as close to the real aircraft as possible. 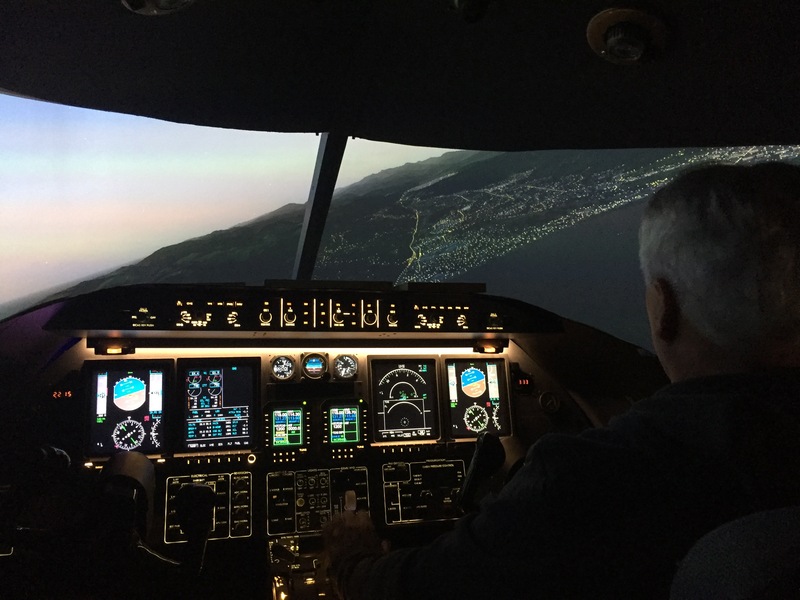 It is also a great tool to help you better understand the specific flight characteristics of the Learjet 45 and to learn to properly fly your simulator. 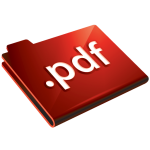 You can down load a PDF version of the Aircraft Flight Manual by clicking the .pdf icon below. The Learjet 40 Series Structural Repair Manual (Chapter 53) covers the fuselage in great detail for both the Learjet 40 and 45. This document has all the clues you would ever need to build a home built full size cockpit shell for your Learjet 45 simulator. You can down load a PDF version of the Structural Repair Manual “Fuselage” by clicking the .pdf icon below. If you are at the point in your project that you are looking to learn or brush up on the finer points of flight planning using the UNS-1 and the Flightdecksoft FMS software, the Simuflite Taskbook is a great practical tool and training aid for our simulators. This training aid consist of four sections: Predepartures, Enroute/UNS-1, Arrival and Planning. You can down load a PDF version of the UNS-1 FMS Taskbook by clicking on the .pdf icon below. Ever wondered what the meaning of a particular acronym meant? Here you will find a list of 99% of all the aviation acronyms associated with the Learjet 45 that you may come across. You will also find many extras associated with computer technology, interfacing, visual systems, CNC manufacturing and other software programs that you are likely to be using during your build. You can download the latest Learjet 45 Technical Acronyms PDF version 5.1by clicking the .pdf icon below. The Project45 Shell Assembly Manual, otherwise known as the SAM was developed by Ron Rollo and is the corner stone of the Lear 45 project! The SAM is a step by step assembly guide that takes the builder from the point of receiving a Project45 Shell kit in a crate, through all ten phases of construction, to the last steps of installing the Lexan windscreens. Whether you have ordered a Project45 shell or are researching the possibilities of building a Lear project, take a few minutes to look over the SAM. You can download the PDF version of the SAM 6.0 by clicking the .pdf icon below. Although Tom Goldberg is no longer an active member here at Hangar45 and is no longer making rudder pedals for the Lear45 project, his L45 Rudder Pedal Assembly Manual is a great resource for the guys who would like to take on this part of the build themselves. Keep in mind that Tom Goldberg’s design has what we call the “swing set effect” design. The real Learjet 45 makes use of the “Parallelogram” design. To take a look at the L45 Rudder Pedal Assembly Manual click the .pdf icon below.